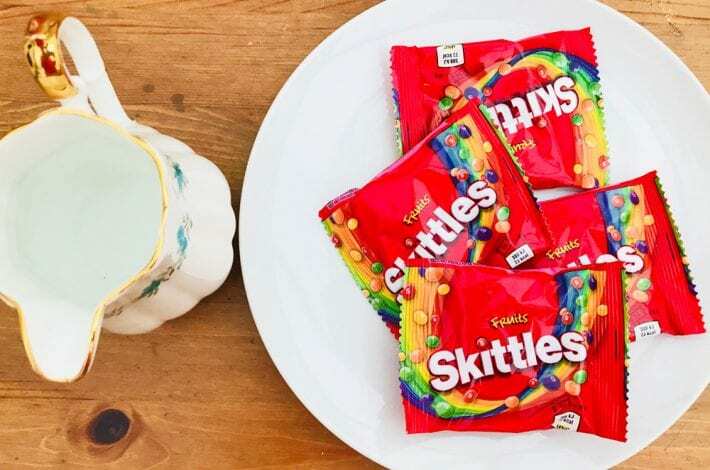 This melting Skittles experiment is such a quick and easy rainbow craft for kids and is fascinating for them to watch. 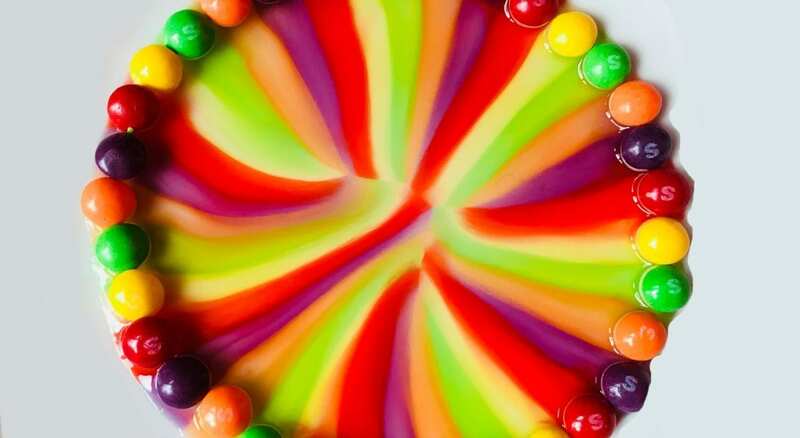 As the warm water melts the sweets beautiful colours emerge and make a stunning rainbow. 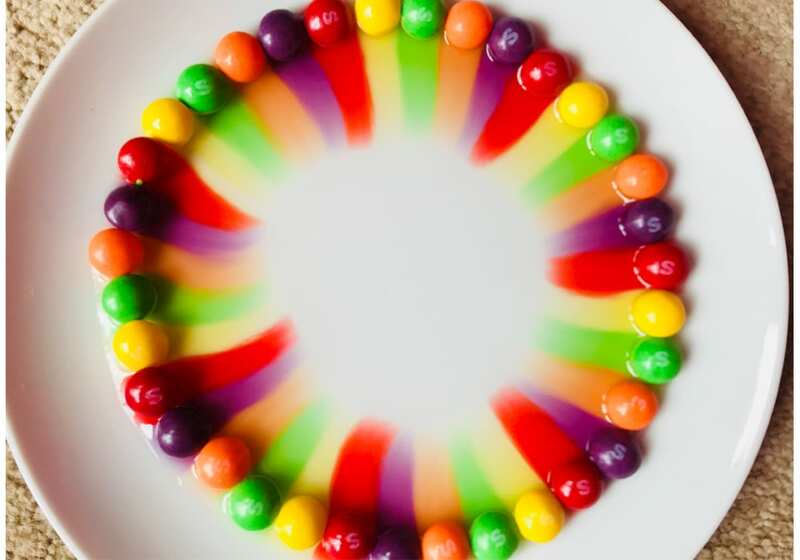 The food colouring and sugar on the outside of the Skittles dissolves in water and then diffuses through the water. 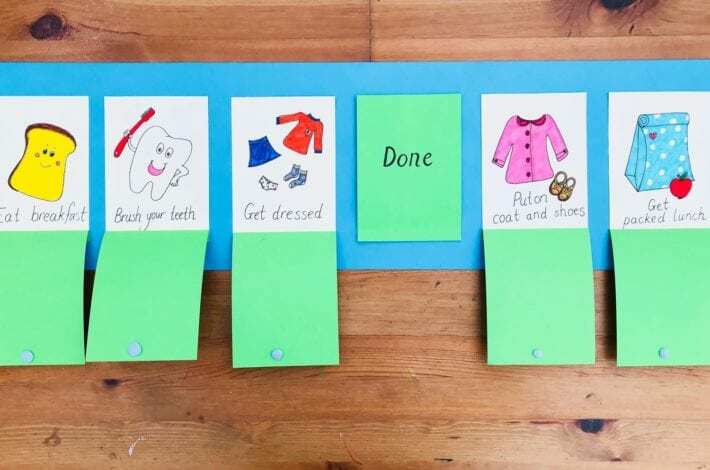 Ask your child to notice how the colours don’t mix at first and only blend together after a while. 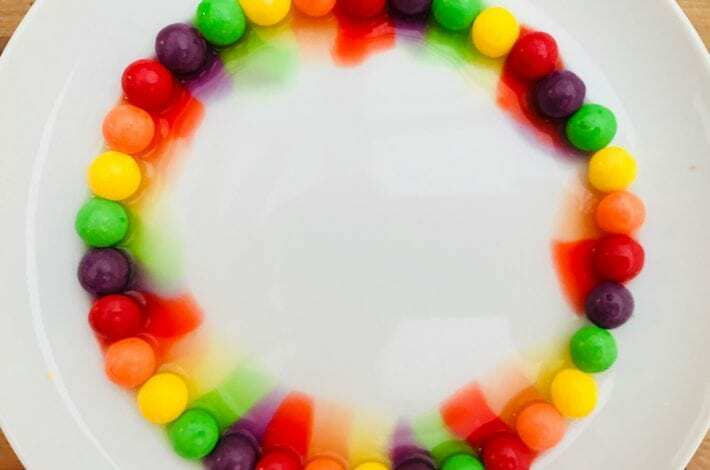 Carefully arrange the Skittles round the plate in a circle. Stick to the same repeated pattern of colours. 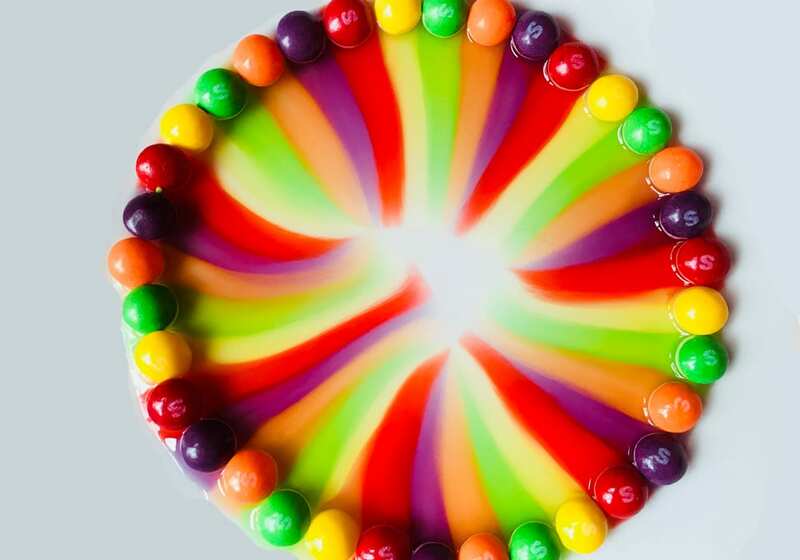 Pour some warm water into the middle of the plate, just enough so it touches all the Skittles. Sit back and watch the magic unfold. 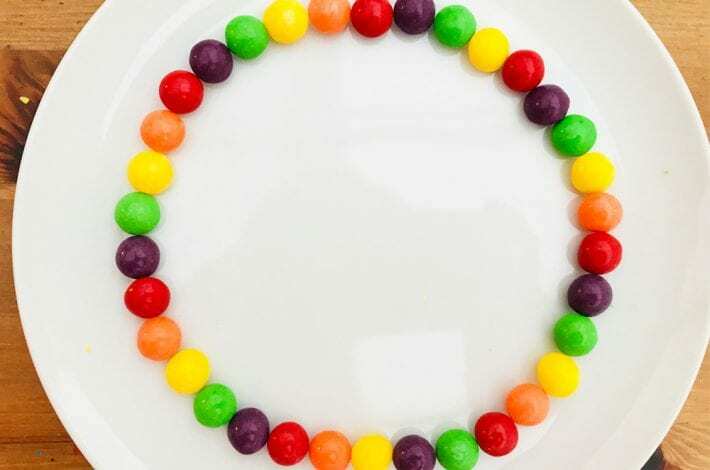 The Skittles slowly melt and begin to form lines of colours, to make a beautiful rainbow. 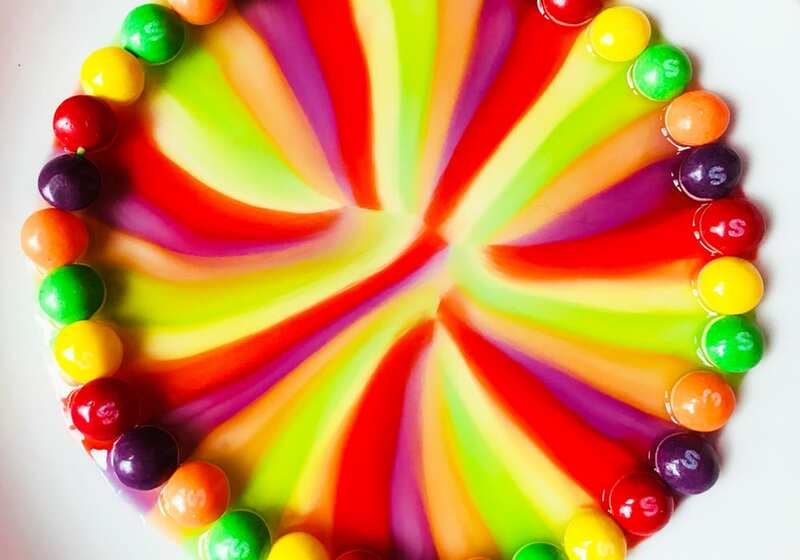 Try the melting Skittles experiment again, using different patterns of colours. You could group 5 yellow Skittles then 5 green, 5 red for example. This will make wide lines of colour. 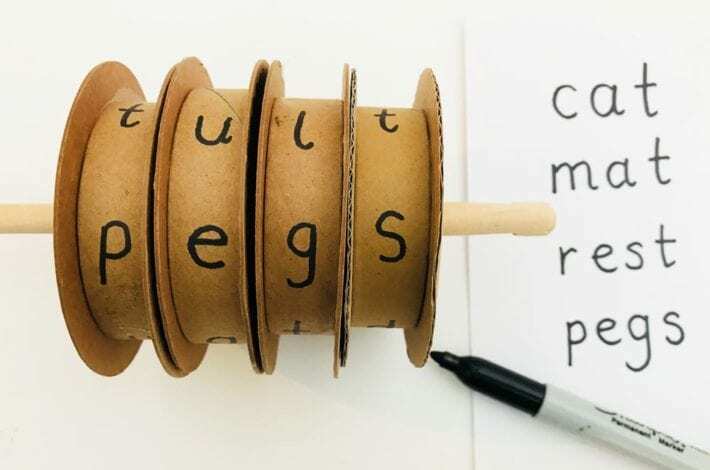 Try using Smarties and M&Ms to see if you get the same effect. 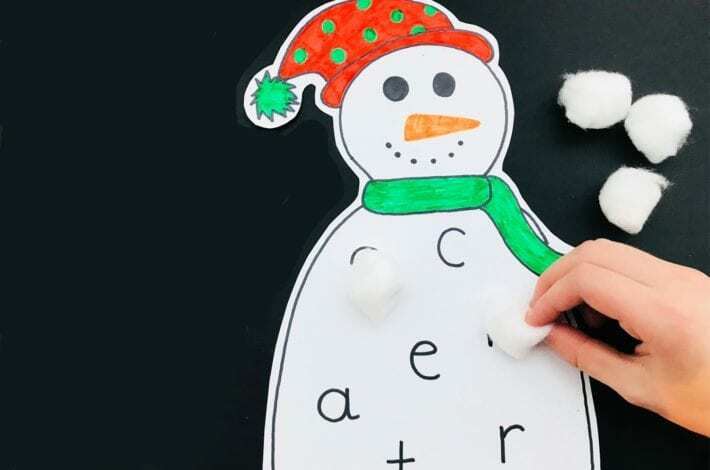 This is such a quick and easy experiment, kids can play around with the different effects.